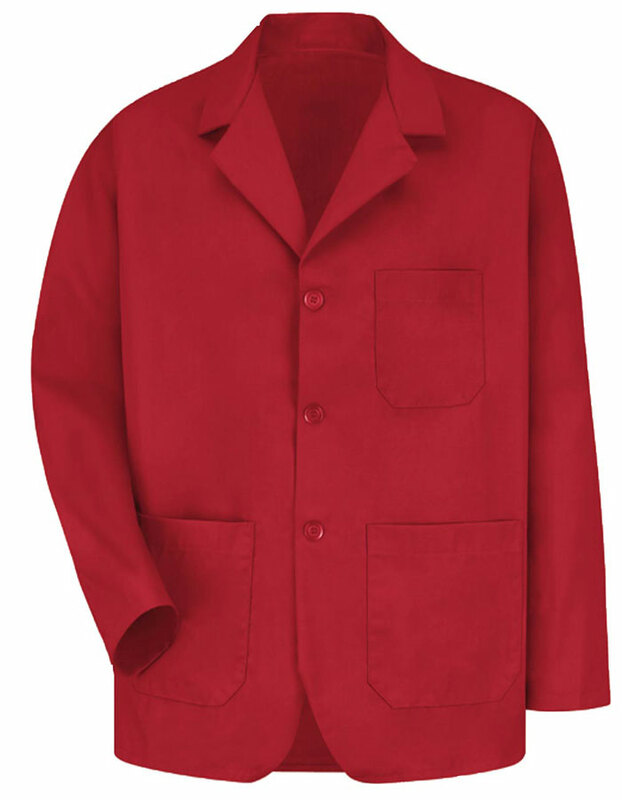 A colored men lapel counter coat in Red is featured by Red Kap Uniforms in a classic notched lapel collar, long set-in sleeves with a three-button front closure. There are multiple pockets provided as storage of your handy belongings it includes two large lower patch pockets and a left breast pocket with a bartacked pencil stall. This is in a blazer styling and it has rounded fonts as added detail. The length of it is 30 inches and it’s made of polyester and cotton blended.